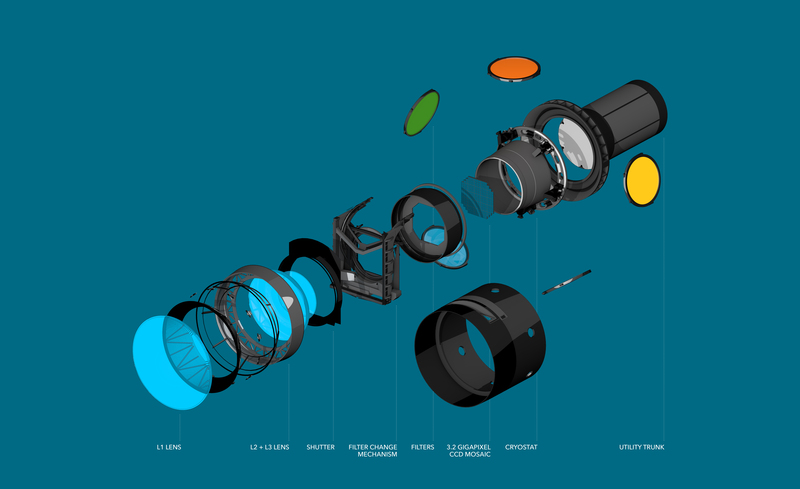 This exploded view of the LSST’s digital camera highlights its various components, including lenses, shutter and filters. 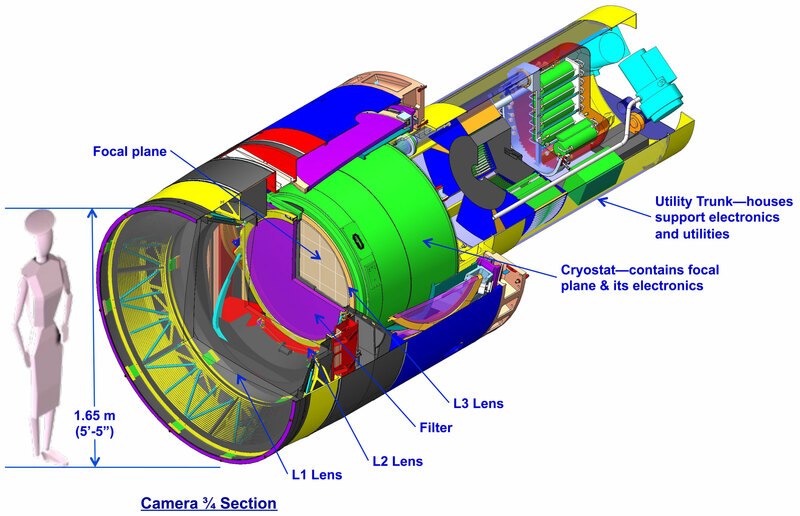 A baseline design rendering of the LSST Camera with a cut away to show the inner workings. The LSST camera is designed to provide a wide field of view with better than 0.2 arcsecond sampling and spectral sampling in five or more bands from 400nm to 1060nm. The image surface is flat with a diameter of approximately 64 cm. 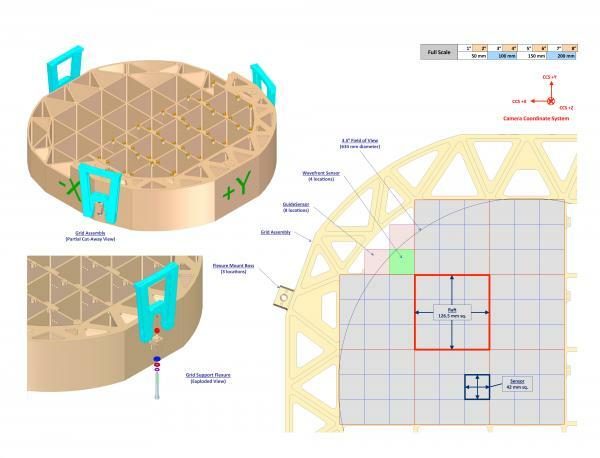 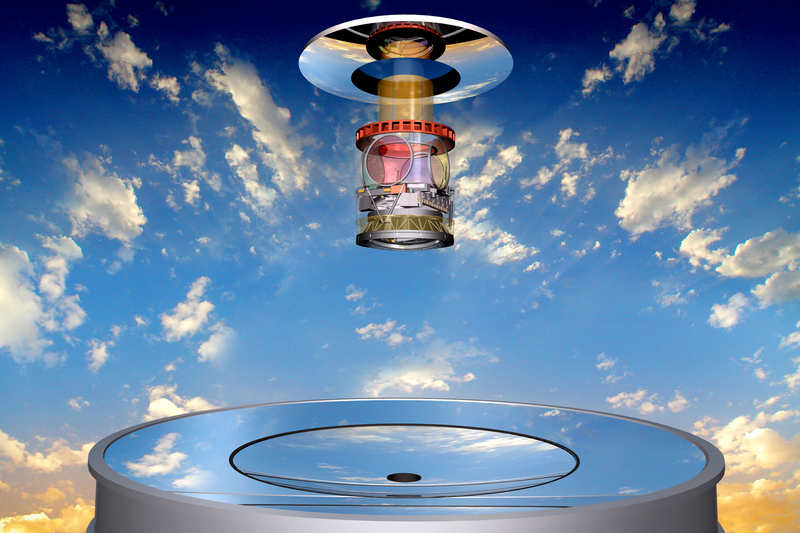 The detector format will be a circular mosaic providing over 3 Gigapixels per image. The camera includes a filter mechanism and, if necessary, shuttering capability. The camera is positioned in the middle of the telescope. 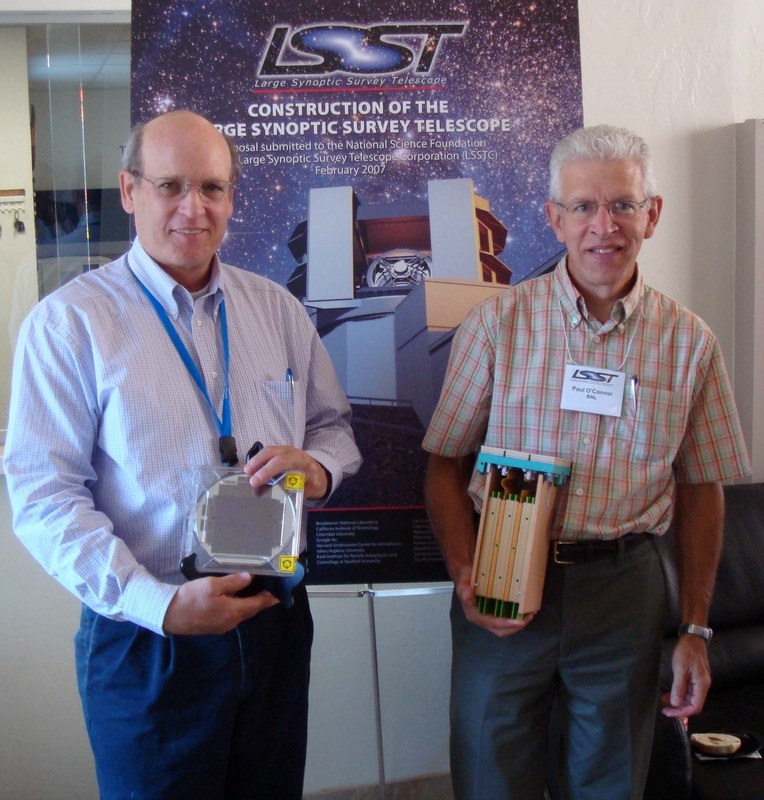 Suzanne Jacoby with the LSST focal plane array scale model. 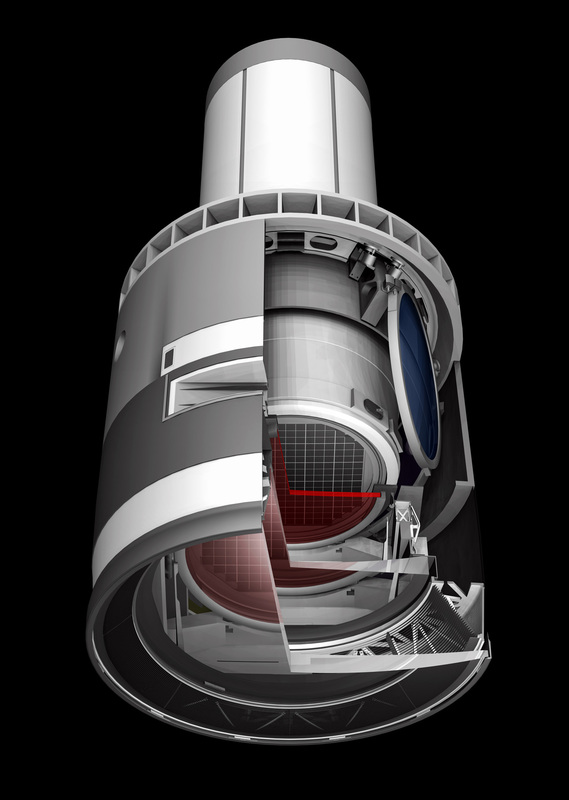 The array's diameter is 64 cm. 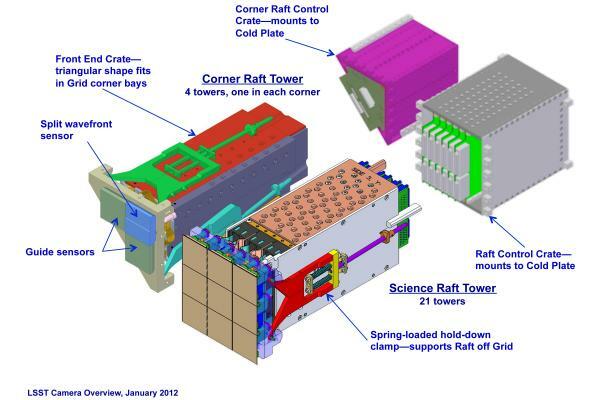 This mosaic will provide over 3 Gigapixels per image. 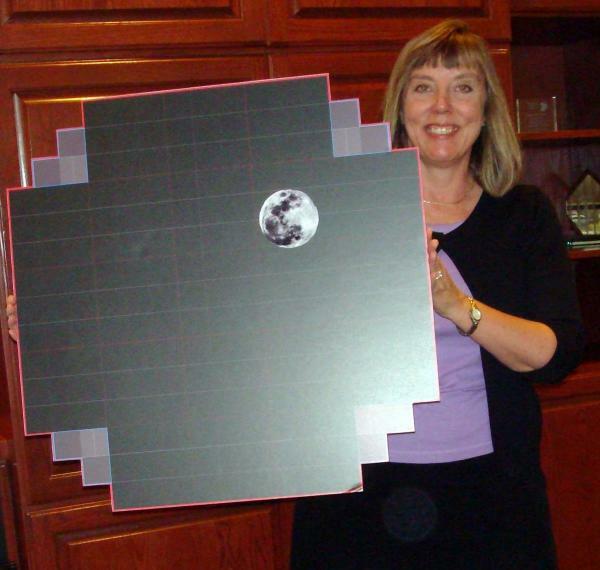 The image of the moon (30 arcminutes) is placed there for scale of the Field of View. Kirk Gilmore holds a silicon wafer with operating CCDs, and Paul O'Connor holds a model 3x3 CCD module with integral electronics. 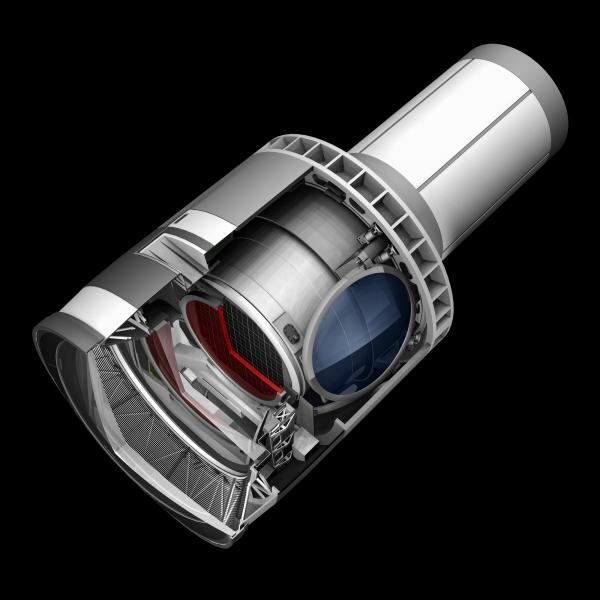 LSST's focal plane will be populated by 189 novel CCD imagers. This image shows the mirror's optics as well as the lenses in the camera, the filter placement, and the associated point spread functions. 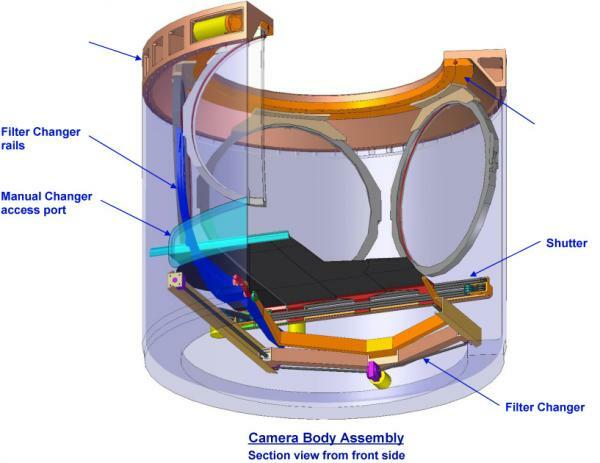 The optical elements of the LSST appear suspended over the coplanar primary/tertiary mirror. 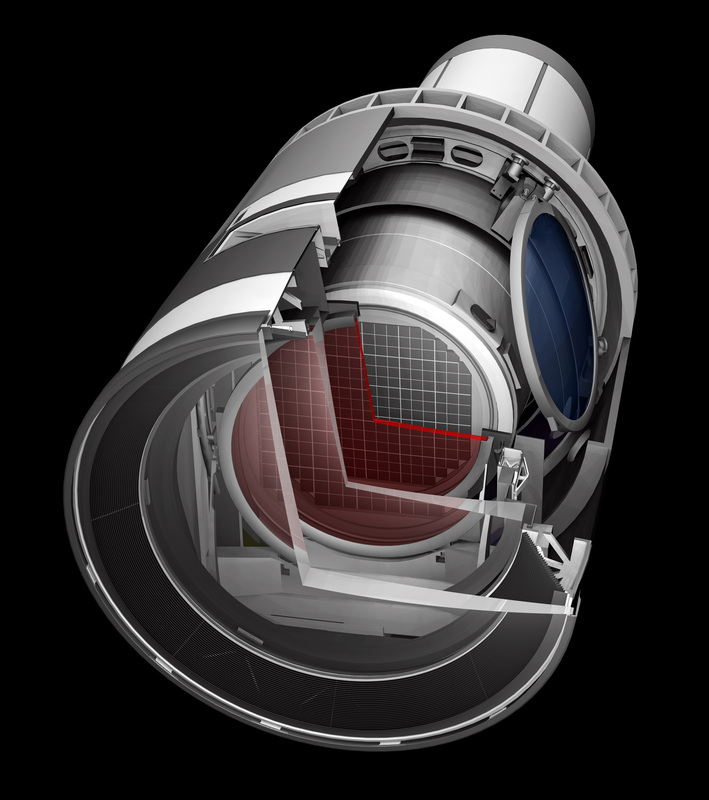 The secondary mirror, camera lenses and filters are also visible. 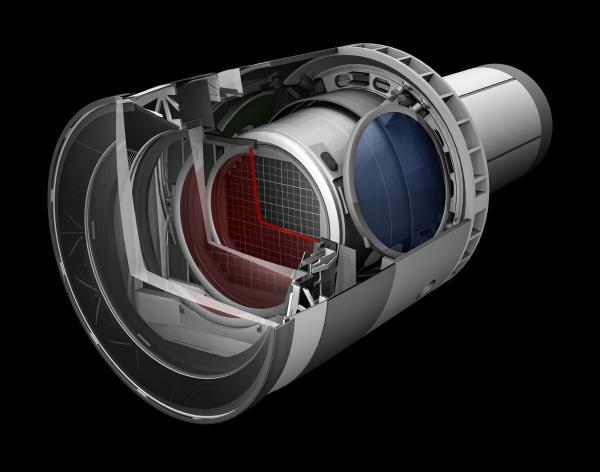 The LSST camera has 63-cm diameter focal place and 3.2 billion pixels of 0.2 arcseconds per pixel. 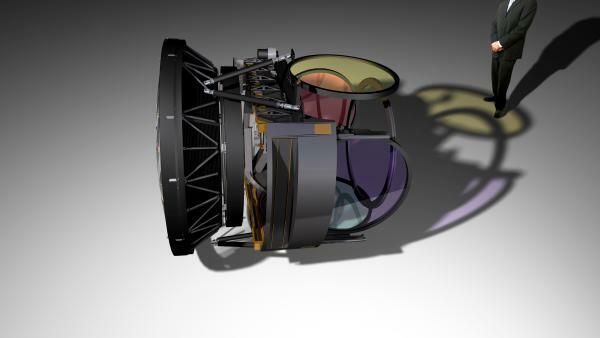 Six filters are available, ugrizy, with 5 in the filter wheel at any given time. 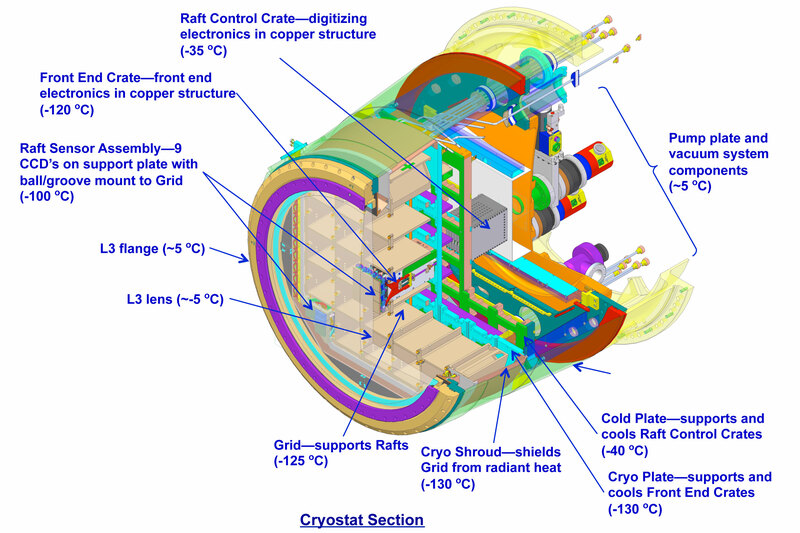 Diagram of cryostat assembly in cross-section with labels.